Split Rock Resort - There is something at the finest Pocono Resorts to please everyone! There are numerous Activities and Festivities that go on at Beautiful Split Rock Resort that include the following- an indoor waterpark, 27 holes of championship golf, 18 hole miniature golf course, 2 indoor pools, 1 outdoor pool, swimming lagoon, 3 indoor tennis courts and 8 outdoor (6 clay and 2 all-weather) courts, racquetball, archery, bocci ball, shuffleboard, softball, volleyball, fully equipped fitness center, massage center, whirlpools, steam rooms, video arcade, billiards room, 8 lane bowling alley, movie theater, gift shop, video rentals, fishing, and paddle boats all on site. Big Boulder Mountain & Resort - Whether it is a Single Family Home Close to the Slopes or Condo/Townhome Living Close to Big Boulder Lake and the Slopes, there is something for Everyone at Big Boulder. The Legendary Big Boulder Resort is Located in Lake Harmony just off of Route 903 in the Pocono Mountains of Northeastern Pennsylvania. Get your Spot in Big Boulder right on the 175 Acre Boulder Lake, or find a Perfect Pocono Mountain Home right near the Slopes of Big Boulder. Winter Comes First here so when you think of Big Boulder, Think Snow! Big Boulder 50% of its overall Terrain to Park Features. The Base Elevation is 1,700 Feet with a Summit Elevation of 2,175 Feet, and a Vertical Drop of 475 Feet. Big Boulder Proudly Boasts the most Progressive and Innovative Terrain Park Program. At Big Boulder, there are 15 Different Slopes, and they are Arranged so that even if you aren't the Sharpest Skiier, you can still enjoy the Slopes and winter Time Fun at Big Boulder. The Best Skiing, Snowboarding, Snow Tubing, and Terrain Parks in the Pocono Mountains can only be found at Big Boulder, and they are the Ideal Destination for your Perfect Winter Retreat to the Scenic Pocono Mountains. 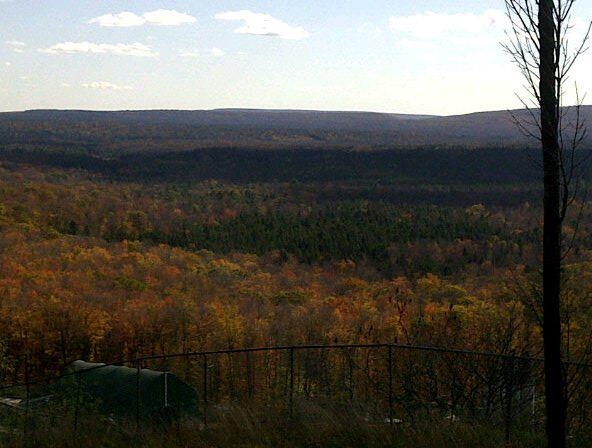 RicksMountainHomes Brings you the Finest Pocono Resorts than anyone else on the Mountain!